This guitar design first appeared in 1952. 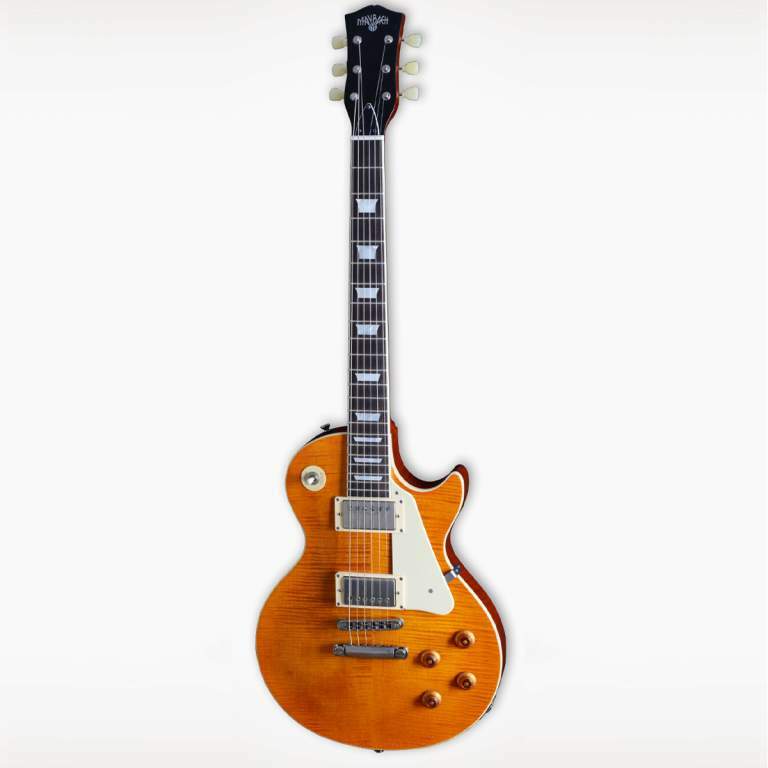 It only became an iconic instrument, though, with the advent of blues rock and the creative guitar playing on those legendary 60’s recordings. Maybach Lester guitars, masterpieces of design and craft, were modeled after the shapes and neck profiles used from 1957 to 1959. The guitar’s magical sound was constantly redefined by hordes of guitarists in the 1960ies – as a matter of fact it cannot be defined. After all, it encapsulates anything from Peter Green to Slash. Typically, the customer requests at Amber pickups for a PAF ask for the following: “It needs to sound vintage but lively, possibly slightly nasal but with a strong bass foundation and shimmering high-end.” And the hand-wound “Spirit of ´59“ pickups deliver exactly the rootsy rock sound with which the last decades’ great guitarists have brought our Sacculus* to ecstasy. With the right amp, the sky’s the limit. By the way: A massive mahogany body with electronics is a burden to even the most athletic guitarist. However, we guarantee that a Maybach Lester weighs less than 4 Kilograms/9 lbs (not including the case). We use only nitro varnish on Maybach Lester models which are available in Black, Gold, Wild Cherry, Midnight Sunset, Havanna Tobacco and Honey Pie.